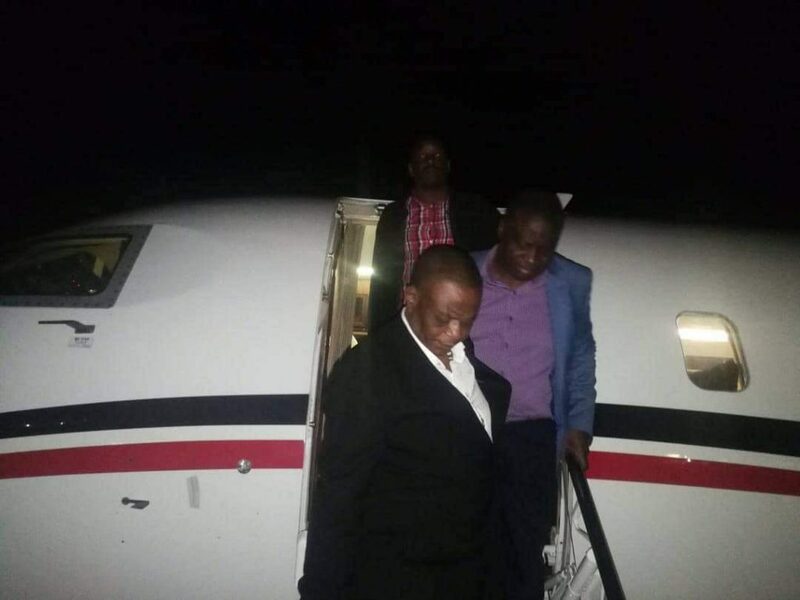 Vice President Constantino Chiwenga returned home from South Africa where he was receiving medical attention. He touched down at 1850 hours accompanied by his wife and the Deputy Minister of Health and Child Care. Very chatty and jovial both husband and wife hugging officers from his office. Obviously, the couple needs time to rally again. His Excellency the President spoke to the couple this evening (last night) and is set to visit them at their home tomorrow morning (today).